One of the keywords when writing articles for salon suites is “my salon suites.” It’s a rather odd word/term, but evidently people are searching for it, so let’s talk about it. How would you like to have your own salon suite? 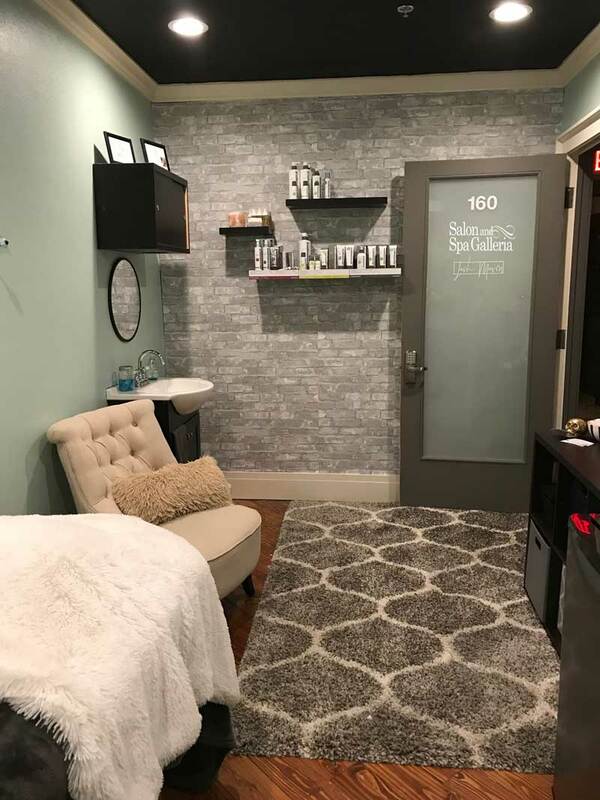 Not a salon chair rental, but an entire salon suite complete with everything you need to become an independent beauty technician? If that sounds heavenly, give us a call at (817) 823-7105 and let’s get started. And we start with Salon & Spa Galleria! Salon & Spa Galleria is the answer to your prayers. That is not hyperbole. Contact us and find out exactly what your future will look like if you give us a call. Briefly, here is what we are talking about in a suite rental scenario. You call us and tell us you are tired of the chair rental situation you currently work in. You are tired of the beauty salon owner taking a commission on your hard-earned salary. You are tired of helping out as a receptionist from time to time and getting nothing for it. You are tired of paying a commission on products, and you are tired of never getting anywhere financially. It is obviously time for a change, and you heard all about these new salon suite rentals and want to know more about it. So we tell you about our ten convenience locations in the Greater Fort Worth area. We tell you about the ridiculously low suite rental fee, in some locations as low as $50 per week. We tell you about all the amenities we toss in, included in that $50 per week, amenities like free WiFi, free HDTVs, free full-time concierge, free web page, free press release, free utilities, and free 24-hour security monitoring. We tell you that you can decorate your beauty suite any old way you want, and we tell you that you have 24/7 access to your suite. And after we tell you all this about our luxury suites, you look at us and say “is this for real?” We assure you that it is, you sign a leasing contract with us, and within days you are the owner of your own business, sharing commissions with absolutely no one except yourself. It’s just that easy at Salon & Spa Galleria. But hey, don’t take our word for it. Make an appointment to speak with some of our current customers. Read their testimonials on our website. And then we want you to sit back and imagine a world where you no longer share the profits with a beauty salon owner, where you gain financial freedom, and where you are compensated for your hard work. That scenario exists at Salon & Spa Galleria, and it is waiting for you. Pick up the phone. Find out what hundreds of stylist professionals in the DFW Metroplex already know, that Salon & Spa Galleria is an open door, waiting for you, and leading to financial independence. Salon & Spa Galleria is locally owned and operated. Check out our newest location at Box Office Warehouse Suites, in the Alliance Area of North Fort Worth, the next time you do a search for “my salon suites” on Google.